fMRI Audio - Cortech Solutions, Inc. 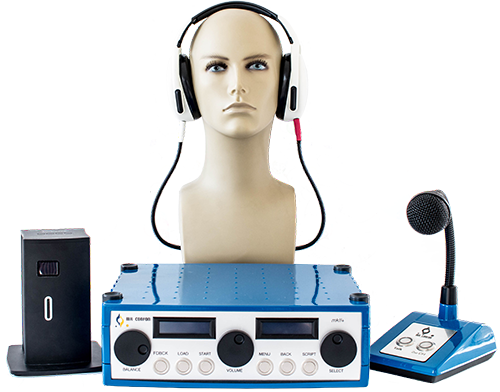 Looking for a calibrated audio solution for 3T and 7T fMRI? 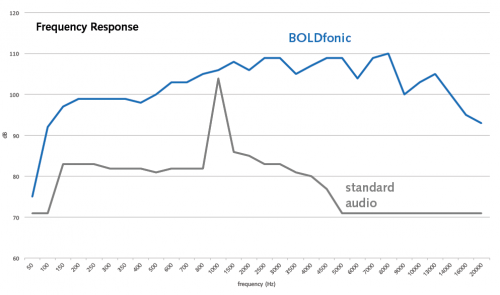 We are proud to introduce BOLDfonic, an integrated, single-source solution for calibrated audio. 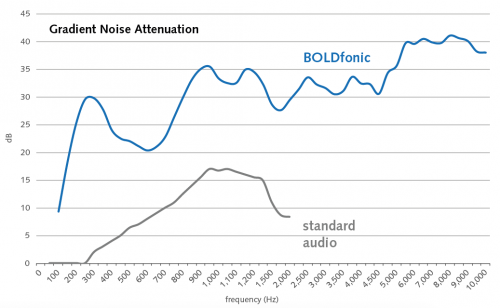 BOLDfonic delivers high-fidelity acoustic stimuli for fMRI while also attenuating scanner noise. BOLDfonic integrates perfectly with our LCD monitor system, eye tracker and the other Made for fMRI devices from our range. You wouldn’t listen to the music on your iPhone with a stethoscope connected to its speaker…. Yet, most MRI-compatible headphones offer just that; audio piped to the participant down long, acoustic tubes. The result? Awful sound quality with restricted frequency response and restricted utility in research. Though standard moving-coil transducers utilizing a magnet aren’t safe in an MRI room, the BOLDfonic headphone system features a unique electro-dynamic driver that utilizes the magnetic field of the MRI scanner to drive the headphone membrane. An additional piezoelectric driver can be fitted to some headphones, which enables them to be used outside the bore as well. Standard headphone with excellent passive gradient noise dampening and powerful electrodynamic speaker system. 32mm thick. Dimensions: outer 85x105mm, inner 45x65mm. Available for Philips and GE scanners. Compatible with 8 and 12 channel head coils. 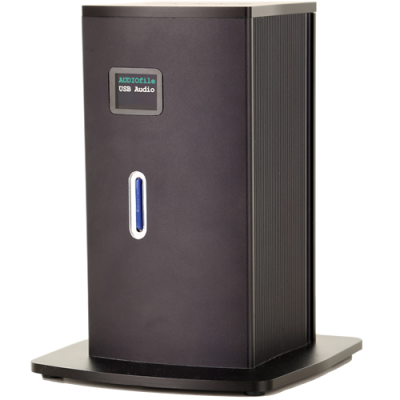 Special version of HP SI 01 with additional compensation element optimized for use with Siemens scanners. For Siemens scanners and larger volume head coils (i.e. not 32/64 channel). 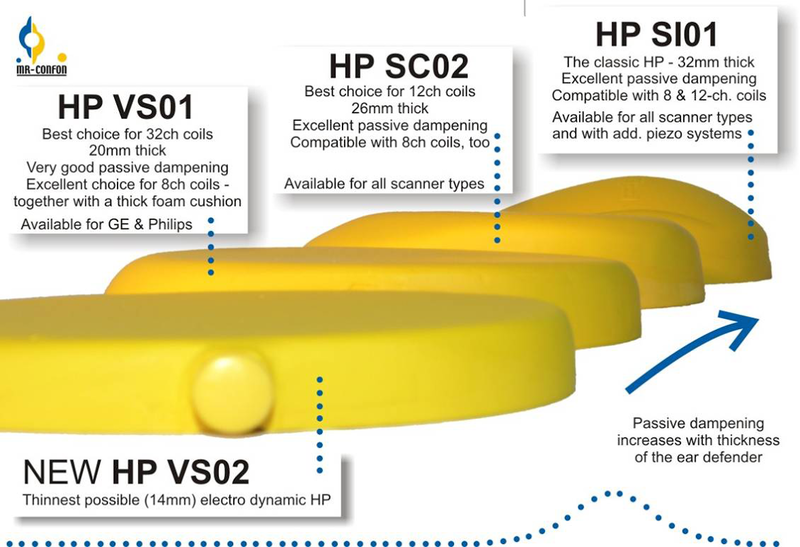 Same features as HP SC 01, but 6mm slimmer and with special foam cushion set. Compatible with Siemens 8 and 12 channel head coils. Special version of HP SI 01 with additional piezo drivers. Can be used inside or outside the scanner. Available for Philips and GE scanners. Smaller version of HP SI 01. Optimised for Philips and GE 32-channel head coils. Also for use with 8 channel head coil and thick foam cushion. Very small version of HP SI 01 with tilted cable management. Optimised for Philips and GE head & neck coils. Ultra small on-ear piezo headphone for use in modern multi-channel head coils with a diameter down to 190mm. Also consider alternate HP AT 01 insert earphone (earbub) design. Dimensions: outer 80x105mm, inner 45x70mm. Works with any head coil. Works inside and outside the scanner. Same electrodynamic driver system as of HP SI 01 or HP SC 01. Small headphones, optimized for use with children and NHP. 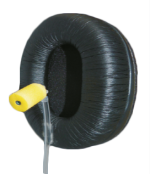 Special version for pure passive dampening or matched, non MRI-compatible (MR Unsafe) headphones are available. Dimensions: outer 60mm, inner 25mm. Available for Siemens, Philips and GE scanners. The drivers use the same proven electrodynamic system technology as the standard BOLDfonic headphone. They’re safe to place within the bore or headcoil, so you can position them wherever is convenient. Ideally they should be reasonably close to to the ear, in order to keep the airtube length short. The drivers are connected to the control box either via the RF filter panel. BOLDfonic stereo amplifiers are perfectly matched to the filter set and headphones; the design features multiple digital optical inputs to connect different signal sources. 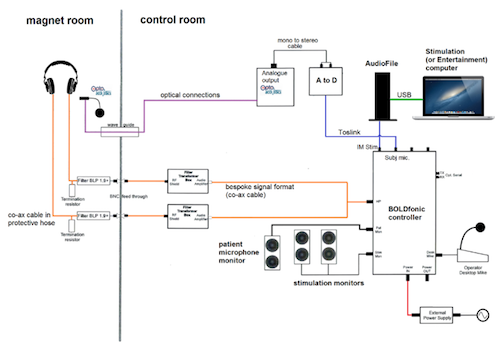 They are easy to operate for routine use, yet still offer sufficient flexibility and control of auditory stimuli for fMRI. The amplifier’s comprehensive design can drive two headphones, external speakers, and supports an optional noise-cancelling microphone for the participant. It even has a digital I/O interface to support direct integration with the MRI scanner.